Since arriving in India, I’ve done a terrible job following current news events. I’d like to think it’s because I’m too busy or trying to conserve my limited 3G Internet access, but neither is true. I haven’t been keeping up with news because I actually like the feeling of getting away from it. It’s nice to escape. This week, though, it was hard to get away from one news story. Last Friday night, a fraternity at Duke hosted an Asian-themed party. The email invitations for the party included insensitive and demeaning language. Later images showed partygoers dressed in costumes that promoted Asian stereotypes. Everyone on the GSA program got word of the party soon after it happened. They vented their frustrations, and one girl even drafted a letter to Duke’s student newspaper, The Chronicle. Two days after our discussion, I opened my Facebook and noticed a featured article on my feed: it was a Yahoo News story about the party. Shocked that the party was making national news, I sent the article to my parents. They said that they’d heard about it on The Today Show that morning. The party has been a constant topic of conversation this week among my friends on the program. They were all embarrassed and appalled by the event. It’s an unfortunate incident that only represents the insensitivity of a small portion of the Duke student body. It does not at all reflect the intense compassion and kindness that I’ve experienced from the other 17 students on this trip, all of whom are Duke students. Being the only non-Dukie has been something I’ve been conscious of the whole trip, but it hasn’t bothered me. It’s only natural that conversations involving a handful of Duke students will center on Duke-related topics. I’m learning a lot about Duke and am often asked about the way things work at Bowdoin. It’s been fun to learn about Duke and introduce the others to a school that many had never heard of or known how to pronounce before the trip. At the same time, I’ve been included as a Dukie myself. This morning, I donned my Duke t-shirt and cheered for my first Duke basketball game. We all arrived at school early (7:30) to catch the live broadcast of the Duke-NC State game. The game brought out a team spirit unlike anything I’ve seen at Bowdoin. There have been moments on this trip where I’ve realized what I’m missing out on at a school like Bowdoin: no arenas filled with thousands of fans, no “tenting” (sleeping in tents for nights on end to snag tickets to a big sports game), no sororities, no fast food joints on campus, and no majors in topics like Global Health or Public Policy. But more than anything, this trip and especially this week has made me realize how proud I am to be a polar bear. Over the past four weeks, Bowdoin has come to define who I am. Some people have started calling me “Bowdoin.” And at a birthday celebration this week, the birthday boy even included “to Bowdoin” in his toast. I’ve loved telling people about traditions back at school and explaining what life is like there. Before leaving, people told me that study abroad would make me really appreciate Bowdoin. And especially in this group, Bowdoin has come to be something that distinguishes me from the rest in a way that I’ve never experienced before. Now, I’m really owning the school rather than sharing it among the other 1,700 students there. The news story that broke earlier this week cast an unfortunate, dark shadow over Duke, for which I feel sorry. The 17 Dukies whom I’ve come to consider close friends have all been incredibly thoughtful, welcoming, and considerate. They’re some of the best-traveled, intelligent and interesting people I’ve ever met, and the party does not reflect any of their morals. And while I’ve come to enjoy wearing the title of pseudo-Dukie myself, this week, it’s been nice to fully embrace my Bowdoin identity. Collin is visiting Bowdoin for the weekend before he leaves for Tasmania and has been updating me as the campus hunkers down for what is predicted to be a historic blizzard. All I can hope is that everyone there stays safe, gets a snow day, and that the blizzard begins to take the place of the Duke party on the news. 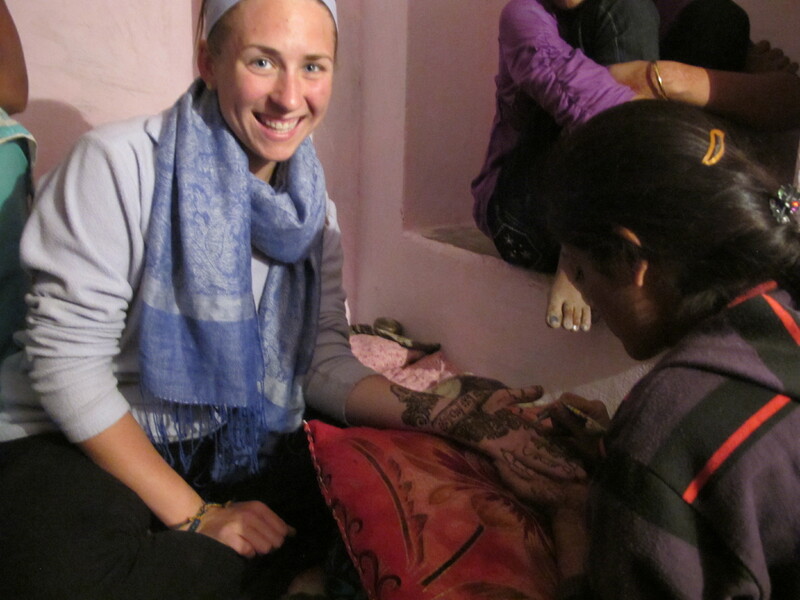 Things continue to be amazing here in India, and I’ve loved getting a glimpse into life at Duke. I will be very happy to return to Bowdoin in June. All I can say is, the salad bar better be ready for me. After a week and a half long blogging hiatus, I’m back in action. I started writing this post last Sunday, and I’m glad I stopped. Having just returned from my first two-day stint in Sangat (the rural village where I’m conducting research), India finally got even with me, and I cracked. I was tired of the incessant poverty I witnessed, caste-based discrimination that seemed so accepted in Sangat, never being able to choose my own food, feeling uncomfortable doing menial tasks like bathing and walking down the street and just generally missing home. Fortunately, my bout of frustration ended by Monday morning, and since then, my infatuation with India has continued to grow. 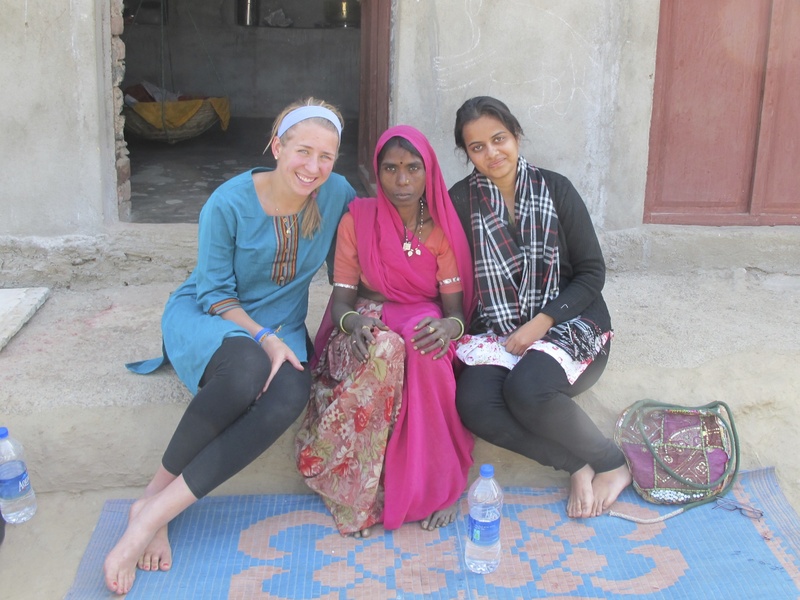 -Getting to know Mohini, a health worker who Meenal and I will work with while in Sangat. 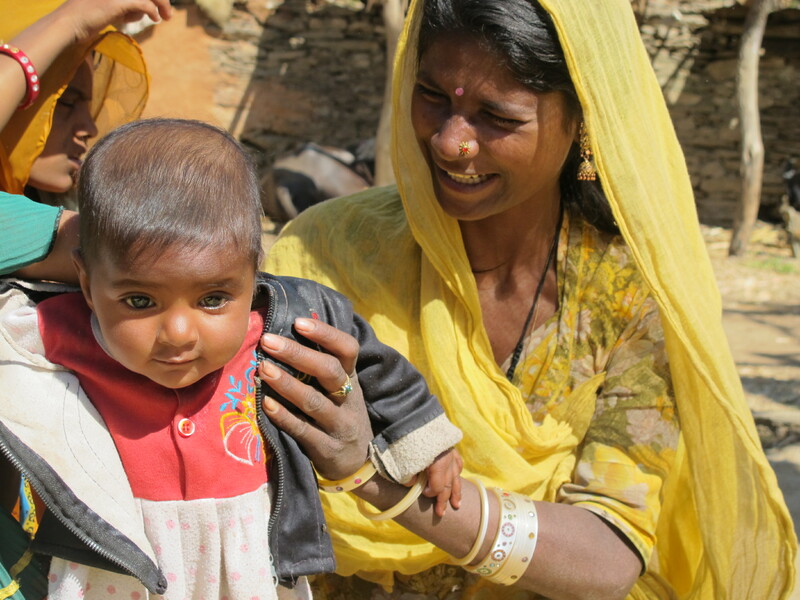 A 5 foot, 100-pound maverick, Mohini boldly disseminates reproductive health information and contraceptives in seven rural villages. She empowers women by allowing them to make their own decisions about family planning in a society where those decisions are usually decided by the husband or left undiscussed. -Meeting the Sarpanch of Sangat. He’s the elected head of a cluster of five nearby villages; it’s a big-deal job, and his ego shows it. I thought it wise not to mention the fact that my host mom told me that he got the position by default because no one else ran for the position. -Finding out that I’ll be working at Bowdoin this summer!! I’m going to organize all the service orientation trips for incoming first-years through the McKeen Center. 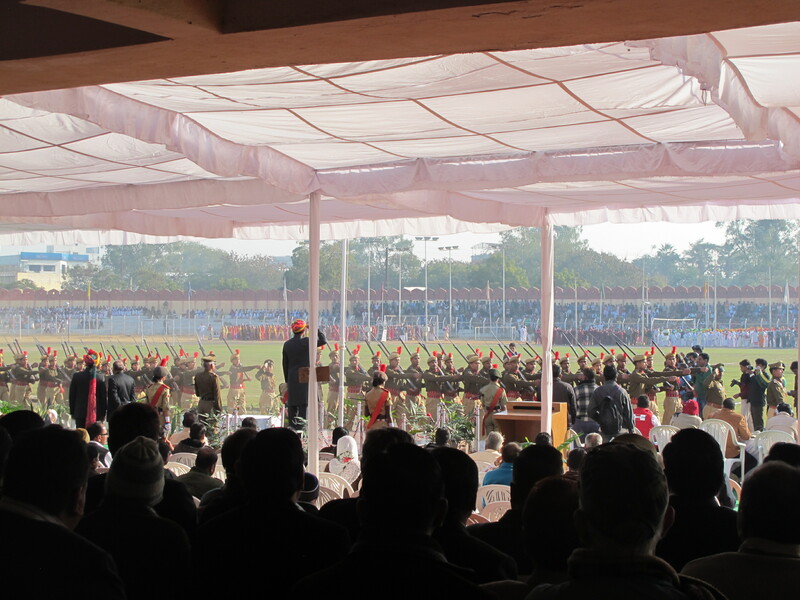 -Watching the official Indian Republic Day celebrations at the government arena. I had no idea what was happening the whole time or how we got hooked up with VIP seats, but it was fun to attend. -Climbing the Tower of Victory at Chittorgahr Fort- we had to navigate through tiny staircases made from marble that has now become grooved smooth by the feet of thousands of visitors. Traffic goes both directions on the staircases and in some places there are no overhead lights or handrails. It really was a victory to get to the top. -Cramming 14 people in an auto rickshaw built for 6 on our way to and from our first birthday dinner of the trip. -Visiting Mohini’s house. 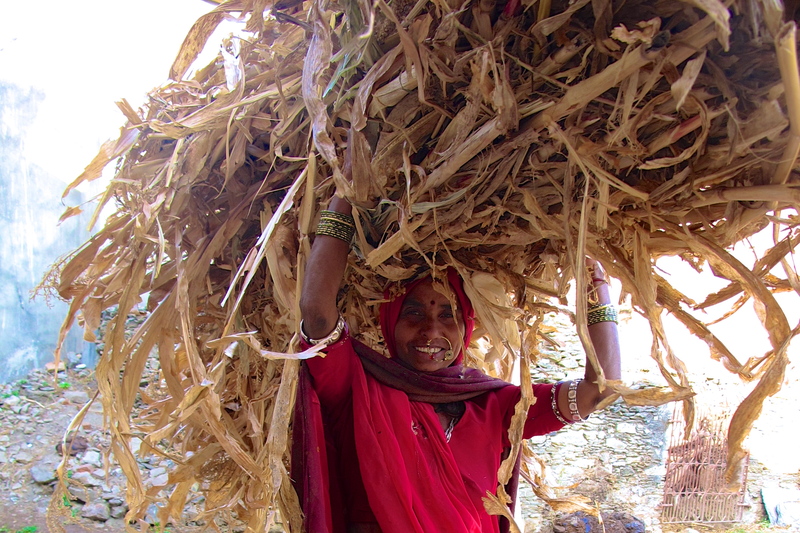 She lives in a one-room structure made of rocks and mud with a thatched roof. Her family has one light bulb that works only certain hours of the day. She and her husband make about 6000 Rs a month (just over $100). 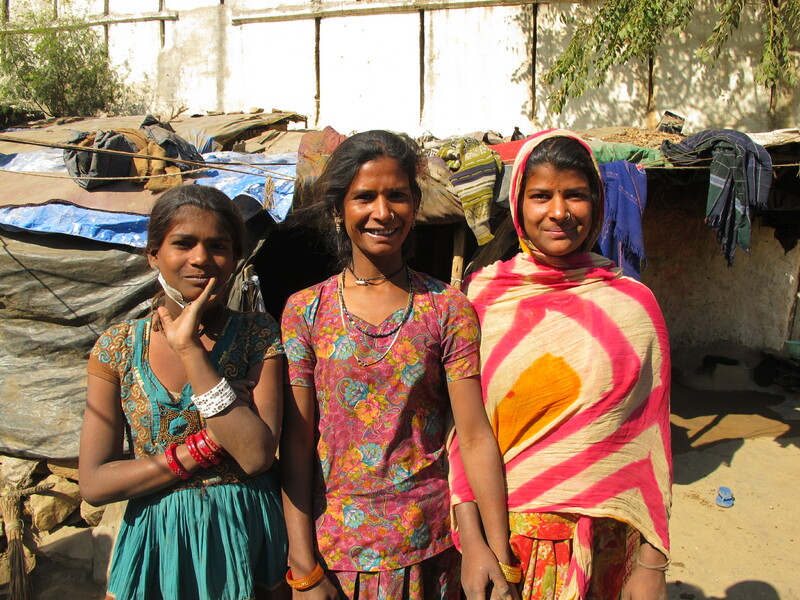 They are rarely able to save money, but insist that all three of their children go to school. -Riding home from Mohini’s house with Meenal. We’d called a transport service number that Mohini had given us. A man picked us up in his van, and we headed back to Sangat. 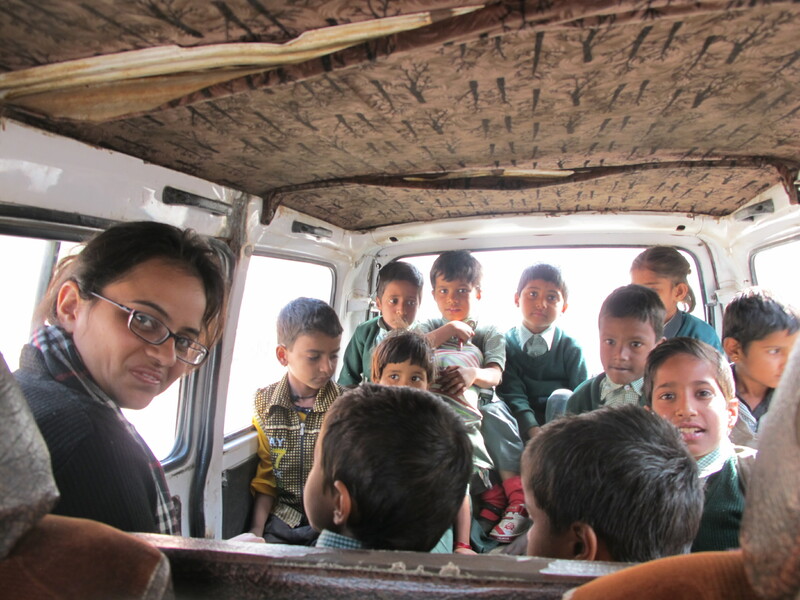 On our way, we stopped at a school and before we understood what was going on, 15 first graders piled in the back seat with Meenal. Apparently the taxi van doubles as a school bus. It was an adorable surprise. -Sitting on the roof with my host sister and her friends while Meenal napped. We struggled to communicate without Meenal’s translating help, but with their basic English and some sign language we were able to talk a little. The funniest moment came after a lot of whispering and giggling when one girl sheepishly asked me if my boyfriend and I ever hug. They thought it was hysterical when I said they we do in fact hug. 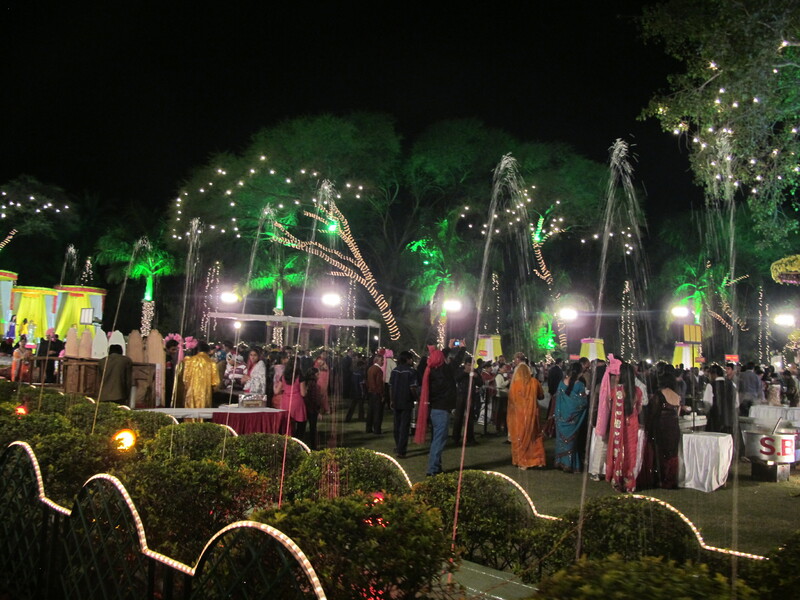 Thursday- wedding reception with my host parents at a resort 30 minutes outside of Udaipur. By far the nicest wedding I’ve attended so far- strawberries, kiwis, brownies and ice cream, Chinese food (think I’m craving food from home a little?) At one point, the bride and groom were raised on a rotating platform as music blared, lights flashed and confetti guns went off; it was really like an Indian-wedding version of a Coldplay concert. Friday- pre-wedding party (complete with dancing- see below videos) in the village. Saturday- wedding day in Sangat. Meenal and I were invited to attend the ceremony, but had to leave to do research after the groom arrived on horseback followed by all his family and friends. When we returned six hours later, the wedding was still going on, so we attended for the last five hours. Every part of the process was steeped in tradition. The saddest part came at the end of the night during the vidai when the 20-year old bride said goodbye to all of her family and friends in the village; she’s lived in Sangat (a tight-knit community of 100 families) her whole life and has not gotten to know the groom or his family with whom she’ll be spending the rest of her life. The wedding was really fun to watch, but the vidai was overwhelmingly sad. -Getting mehndi/henna done by Pinky, a new friend we’ve made in Sangat. Pinky is friends with my host sister and is the resident mehndi expert in the village; the night before, she spent 5+ hours painting the bride’s arms/legs. 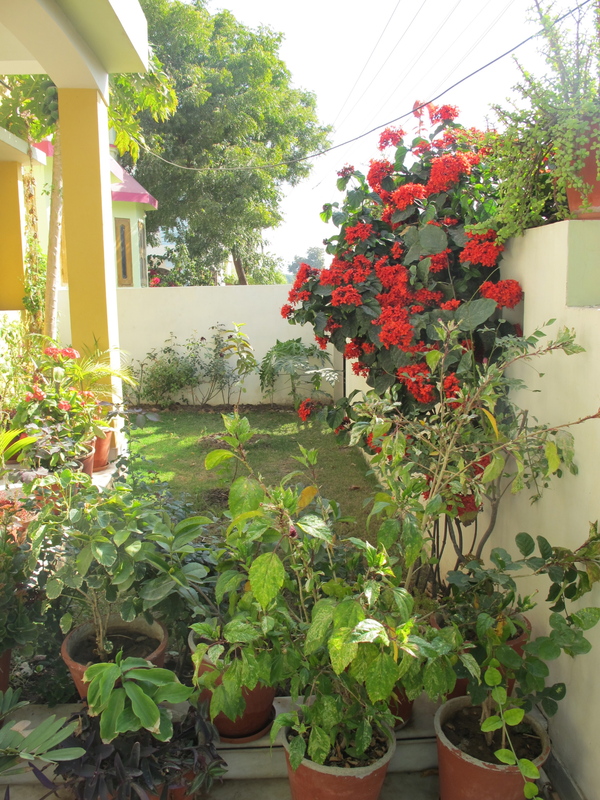 -Returning home to my host family in Udaipur, relieved to be back and ready for a warm bucket shower (I can only get cold bucket showers in Sangat) and Deepti’s cooking. When I started this post last Sunday, I wanted to write about Indian culture, making a sweeping claim about how its survival has been prioritized over the country’s economic development. But I still have no idea about India as a whole. I’ve been here a month now, which is halfway through my stay and long enough to know a little bit about the little bit of India I’ve seen and experienced. India’s an incredible, beautiful, vibrant, loud, unjust, and smelly place. And it’s constantly surprising me. While I don’t know much, I am slowly learning that the only way to navigate it without going crazy is to just relish its beautiful aspects and roll with its frustrating ones. It’s been an incredible four weeks. And now with my sanity renewed and my blog up to date, I’m back in action and ready for another month of Indian adventures. The second video (above) is what the dancing looked like from my point of view. Yesterday should have left me completely devastated. I came out of the experience exhausted, but not nearly as sad as I’d expected; I felt encouraged and refreshed. 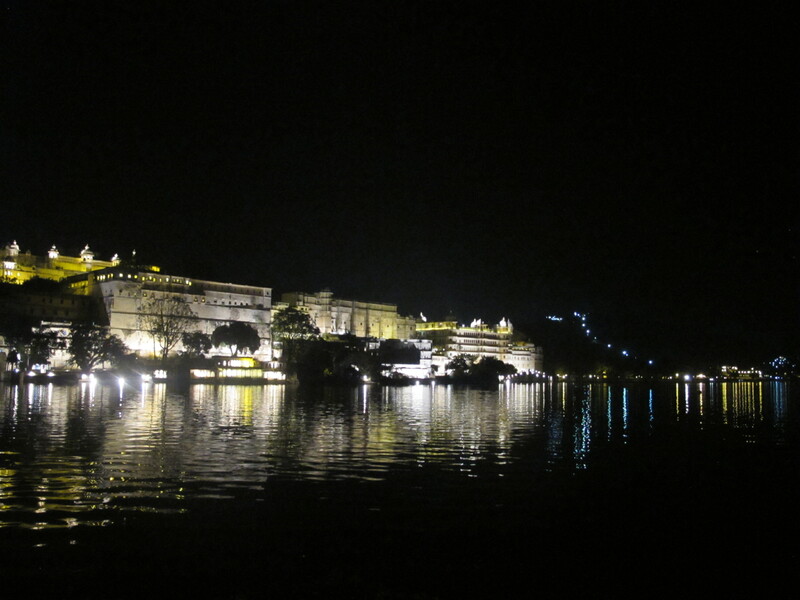 As part of our research, we were assigned to investigate something that intrigued us about Udaipur. We were told to dig deeper into an issue and find out what lies beneath. 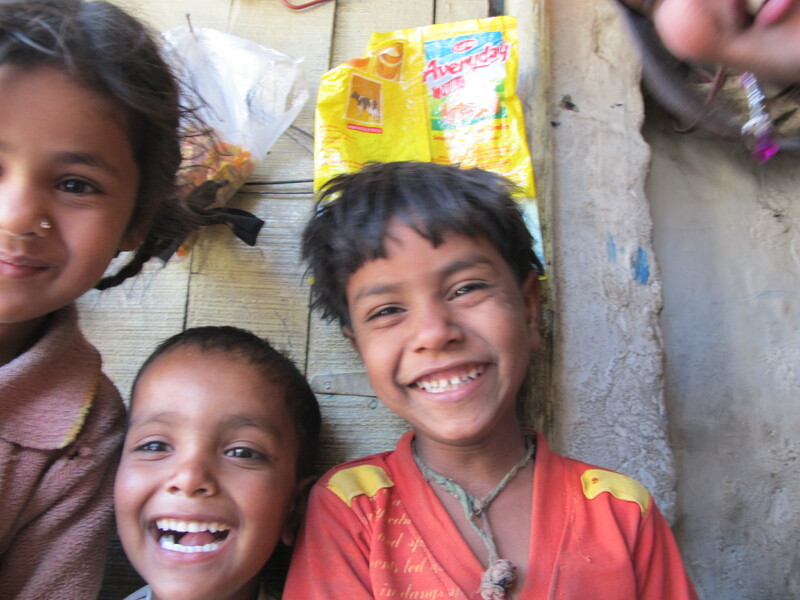 I chose to investigate life in the slums of Udaipur. I didn’t exactly know what I wanted to research. I was just excited to use the opportunity to talk to people that live in a completely opposite manner from my own. 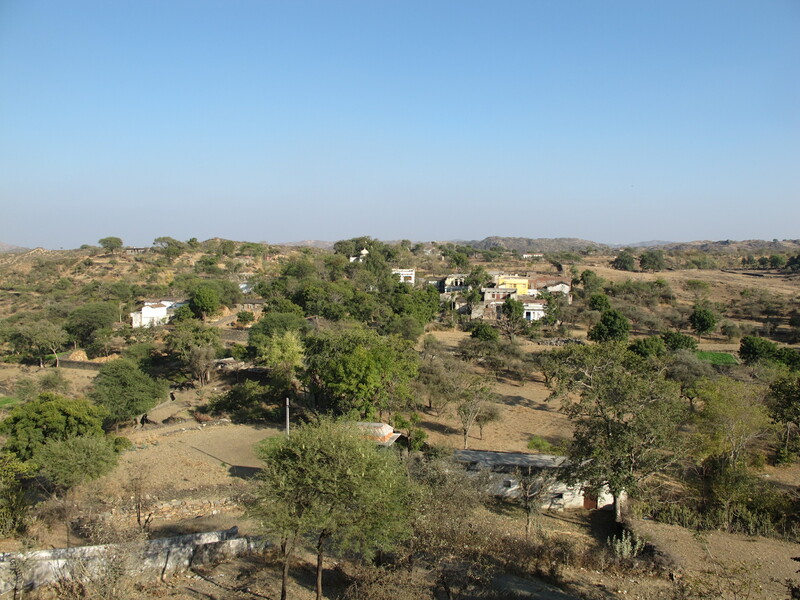 Meenal and I drove to four slum areas around Udaipur, which I should mention is a city renown for its beauty and tranquility (Travel + Leisure rated it the “World’s Best City” in 2009). This isn’t a place where people go when they want to experience down and dirty India. They can go to Delhi, Mumbai and Bangalore for that. 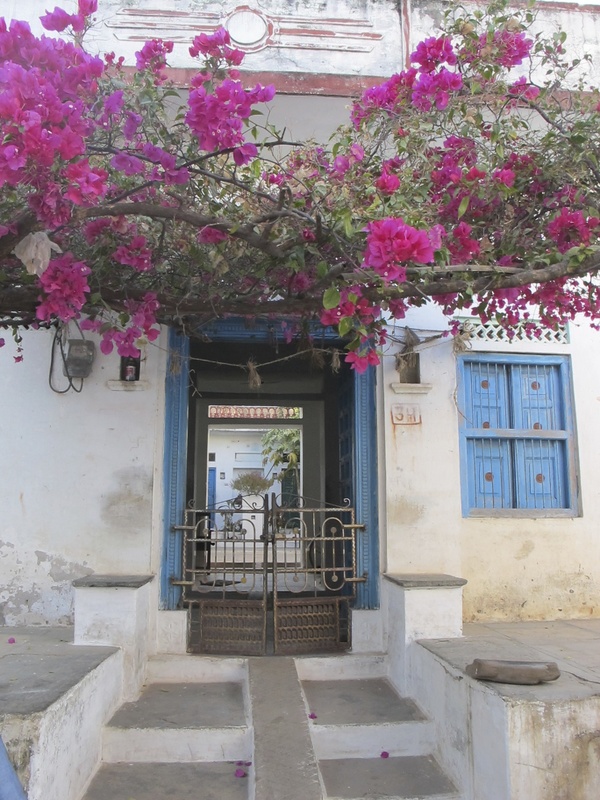 Yet, even beautiful Udaipur has several slums. We only needed to drive a few minutes from my school to find some of them. The areas we visited ranged from 15 to 500 inhabitants, and the structures people lived in were anything from tents to concrete structures. 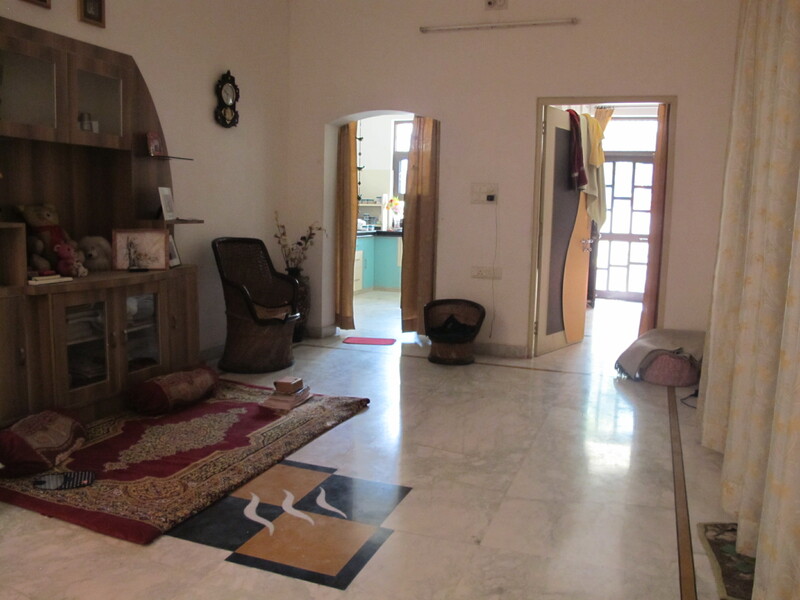 In all cases, people’s homes were just one big room that all the family members lived and slept in. Families ranged from four to 12 members. We asked people about how long their family had lived in the slum, and shockingly, every time we asked, people told us that they had been living here for two generations or more. This place is all they know. People I spoke with did not seem dissatisfied so much with where they lived as much as how they lived. People told me that the water supply was not satisfactory and that their kids couldn’t go to school because it was too far away. They didn’t complain about the fact that they lived in shacks the size of my bedroom at home or that the highway was within spitting distance from their front door. To me, they were normal people with genuine complaints, and their dismal conditions didn’t consume them. They talked about normal things: kids, work, and leisure activities. I started asking them about TVs. 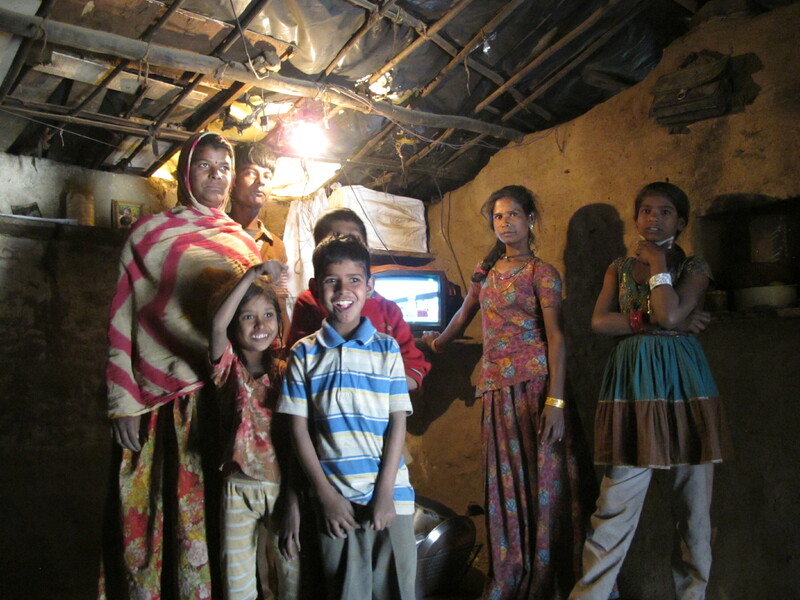 In the slums that had electricity, every household I spoke with had one. Dirt floors, five or more people sleeping in the same room, and a TV: it doesn’t add up to me, but it’s the way they live. And from our conversations, it’s really the only way they can think of living. I asked people if they thought a TV was a necessity. They said yes. I pressed further, “like food and water?” Of course, Meenal did the translation into Hindi. Their answer: well, not quite like food and water, but close. 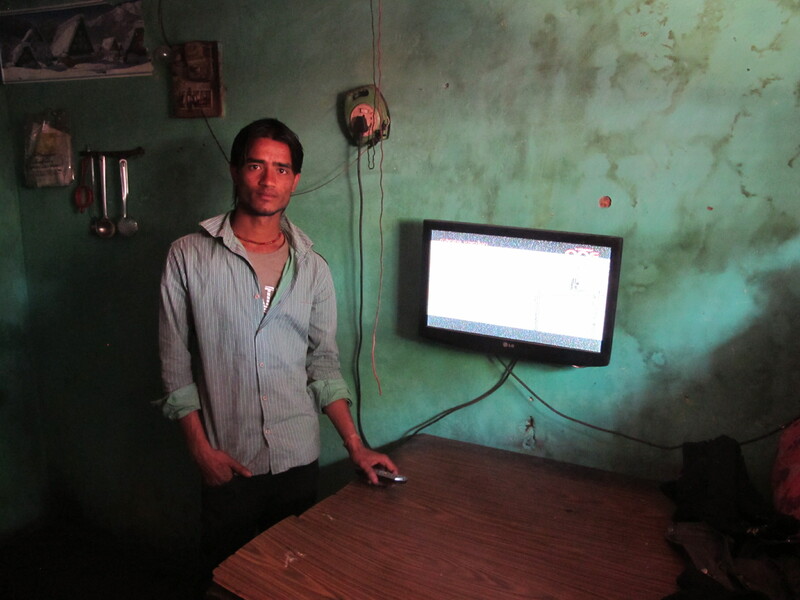 People told me that they spent between 6,000 to 20,000 Rs ($110-372) for their TVs. Everyone had to save for several months or years before buying it, and many are paying off the cost in installments of a few dollars every month. I asked why several families don’t group together and split the cost of one TV between all of them. People told me that they like having their own. After work, everyone goes home, eats dinner and watches TV with their families. It’s their sole form of leisure in a life totally devoid of other comforts. And most importantly, TVs mean family time. What my visit to the slums showed me was not how destitute people can be, but how proud and happy they can be with so little. For the people I spoke with, poverty is not all consuming. Rather it’s a facet of their lives, just like anyone’s socio-economic status is. They make money. They save it. They make decisions about how to spend it. As it turns out, many of them choose to buy TVs. And the underlying motive behind the purchase: time together as a family. It was a surprising day on many fronts, but with revelations like that, how could you help but feel happy? 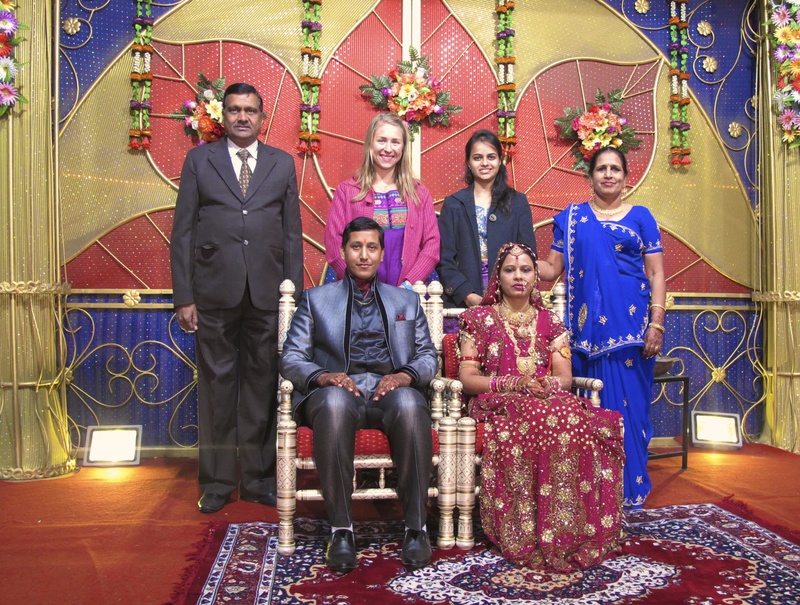 Between Thursday and Friday of this week, I attended a total of three Indian weddings. Yes, three. 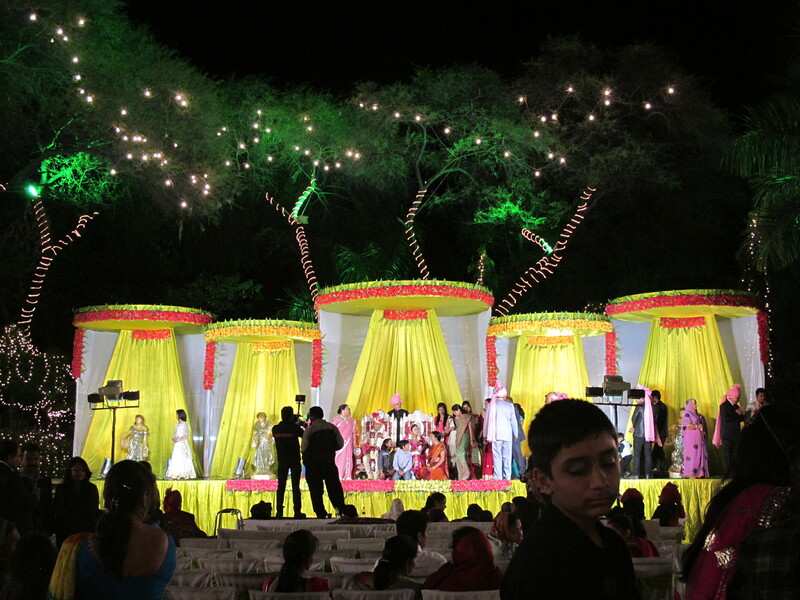 I had heard Indian weddings were lavish, loud, colorful and totally over the top. And these weddings were just that. On Monday, Indians celebrated Makar Sankrati, a harvest festival marking the sun’s entry into the Capricorn zodiac constellation. People believe that after the festival, days will get longer, the weather will get warmer, and everyone will become luckier. Post-Makar Sankrati marks an auspicious phase in the Indian calendar. With that belief comes the start of wedding season in Udaipur. During a 15-minute drive to the wedding with my host parents on Thursday night, we passed three huge wedding celebrations in the streets of Udaipur. In America, you may pass by a wedding and never know it; several cars parked outside of a house, church, or country club doesn’t necessarily scream wedding. In India, you know when a wedding is going on. There’s no concept of moderation with Indian weddings. People invite their family members, in-laws’ family members, friends, friend’s friends, coworkers, neighbors and what seems like everybody else in Udaipur and then those people each bring a few friends and you have an Indian wedding. It’s not uncommon for weddings to attract thousands of people. On Thursday night, Ajay, Deepti and I went to the wedding of the daughter of one of their neighbors. We walked in and were immediately assaulted with bright lights, smells of Indian food, loud music and a bustle of sari-clad women and men in suits. It was total sensory overload. The wedding was held in a space that appeared to be designated for wedding use. There was a stage on the left side of the field where the bride and groom sat on massive thrones as people gathered waiting for their turn to go up and take a picture with the newlyweds. In the middle of the wedding space there was a fake pond with trees and fountains. Lining the edges of the field were tables and tables full of fresh food. Behind each table, workers sat preparing the food. Women rolled dough; men stood stirring a hot vat of simmering vegetables. People mingled. Kids ran around. Everyone had some sort of food in his or her hands. The whole experience reminded me of the Minnesota State Fair: crowds of people, the smell of deep-fat fryers, flashing lights, loud music. Amidst so many strangers, I felt an odd sense of community, just as I always do at the state fair. In an Indian wedding of all places, I found a little piece of home. On Friday night, my coresearcher, Meenal, invited me to two more weddings. Of course I said yes. These weddings were more of the same. Plenty of food, chit-chatting and people watching. Unfortunately, my stomach paid the price on Saturday, so my host father has put me on a wedding diet; no more weddings until the 30th. This week marked many firsts for me here. I had my first day of classes, went on my first (of hopefully many) morning jogs with my host father, went to an Indian market for the first time, went to my first Indian wedding, and visited a rural Indian village for the first time. 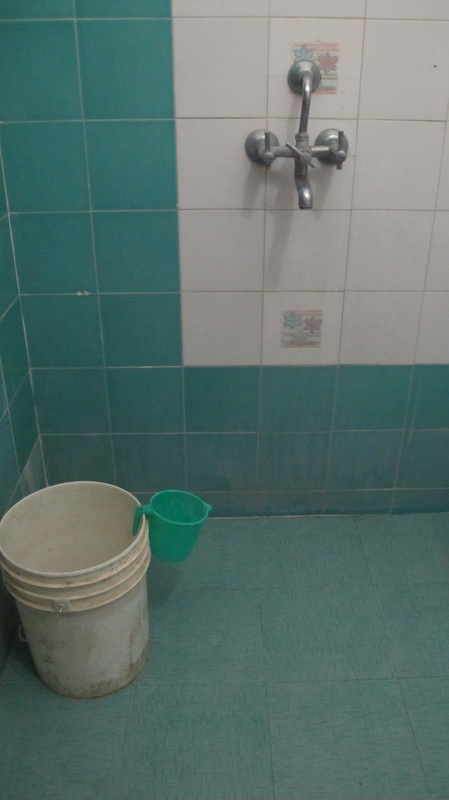 This week, I finally began to experience the true India. Besides the weddings, what sticks out most to me about this week were my two field visits to a rural village called Tula. A large component of my courses is field-based research. 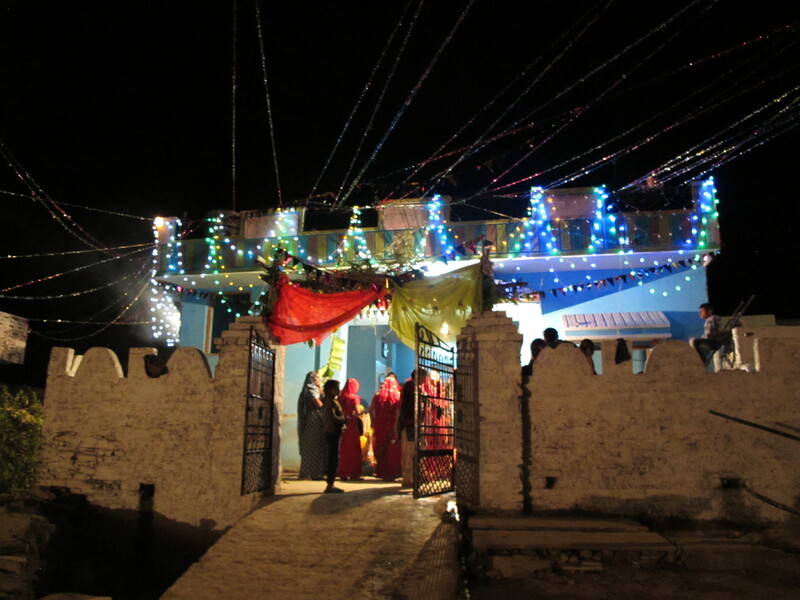 During my eight weeks in India, I’ll spend two of them living with a homestay family in a rural village conducting research on a topic of my choosing; I’m hoping to look at maternal healthcare practices. This Thursday and Friday, we broke into groups of three and went to nearby villages to practice research skills. Tula is a village of 300 families, 100 of which are from the Gameti tribe. 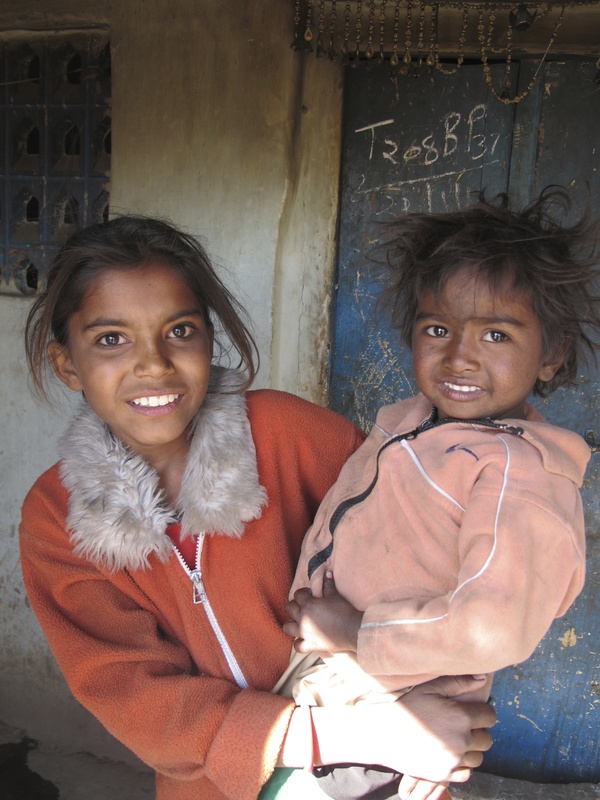 The entire village is quite poor, and the tribal families fare the worst. A few of the wealthiest men will go into Mumbai to work at a hardware business, but the poorest don’t have any form of reliable work. 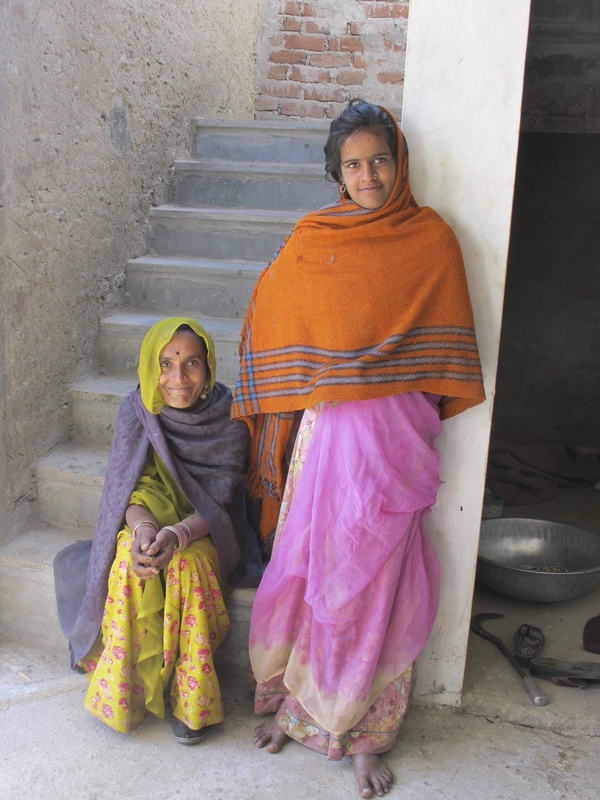 Meenal and I talked to a family who owned one cow and one goat between all 11 of them; the family’s poverty had been intensified after the grandmother was hit by a cow and broke several bones in her arm resulting in a medical fee of 20,000 Rs (about $370). The family is still working to pay back their debt from the incident. 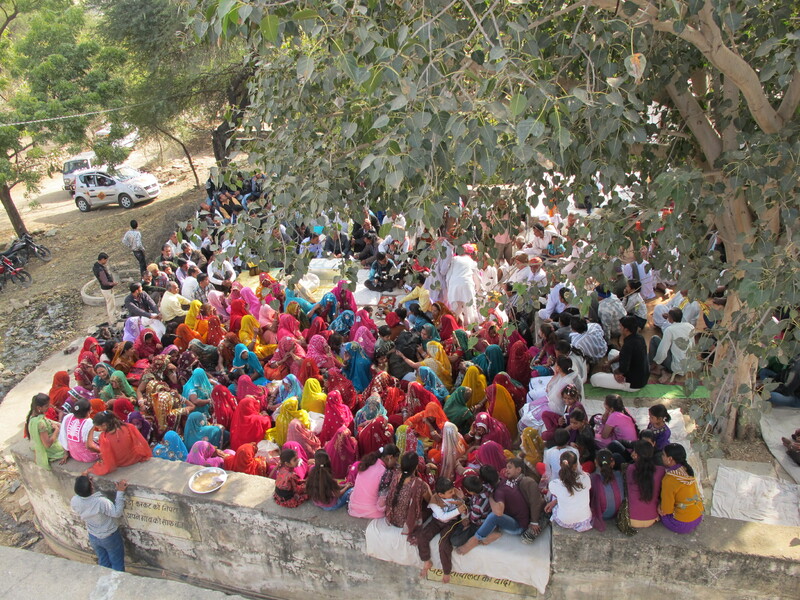 As we walked through the village we gathered quite a following. Kids followed behind us on the dusty roads and elderly women peeked out of their doors as we passed by. Several people we talked to had never been to Udaipur, and I seriously doubted that they’d ever seen someone with blonde hair. I’ve been to rural villages before, but never with the ability or assignment to ask people about their lives. In my prior experiences, I’d been just a tourist peeking in, trying to understand what villages and village people looked like. Now I have the opportunity to understand what their lives are like. The whole thing feels a bit selfish as I traipse through asking personal questions about health and wealth. And while I still feel very much like an outsider, hopefully I’ll be able to develop connections with people over the two weeks that I spend in the village. Maybe I can be of some help by offering a caring ear and listening to what matters to them. Thursday afternoon I was in Tula; that night, I went to a lavish wedding. I woke up Friday morning and went back to the village. And on Friday night I attended two more equally extravagant weddings. From extreme poverty to extreme indulgence, I’ve been whipsawed between the polar ends of Indian society. And as hard as it is to go between the two, I feel like I’m finally experiencing the real India. 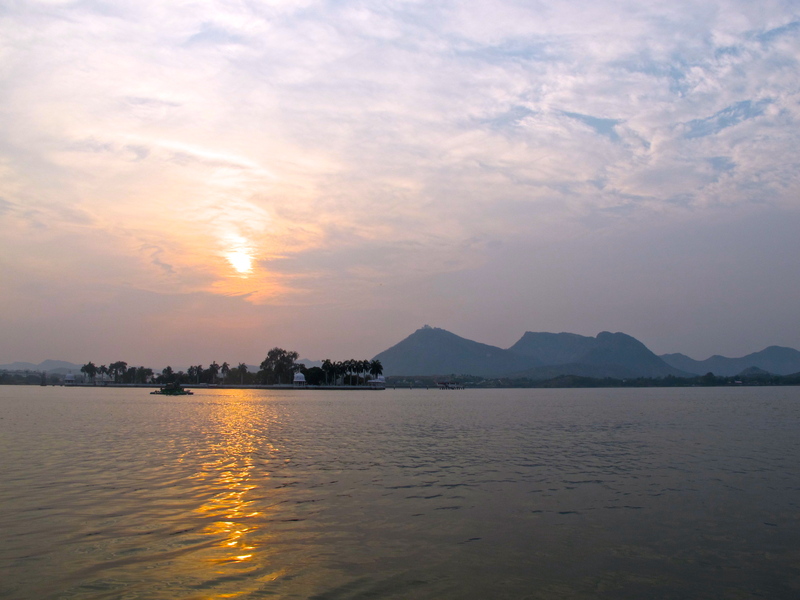 India isn’t just the bustling streets of Delhi or the serene lakes of Udaipur. It’s not just beautiful women in saris or dirty kids begging for money. It’s all of it. It’s Tula; it’s weddings. And it’s everything in between. India is a confusing, crazy juxtaposition of many extremes. It’s loud. It’s smelly. It’s colorful and crowded. And it’s one of the most amazing places I’ve ever been. 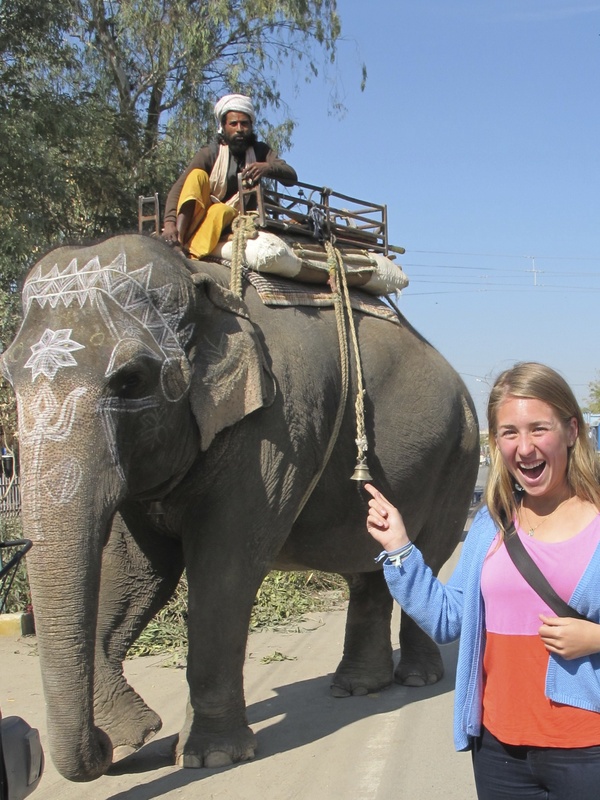 Since arriving in India, I’ve been thrown on a steep learning curve. This food is called paratha, this food is called paneer. Don’t use your left hand to eat; don’t use your right hand to touch communal things. Only enter a room when invited. You get the idea. During our three days of orientation, my brain was filled with Hindi words and Indian customs that I was instructed to abide by while here. And while I’m still trying to follow those directions, the more comfortable I get, the more I’m realizing that many of those rules are dependent upon whom you’re with. 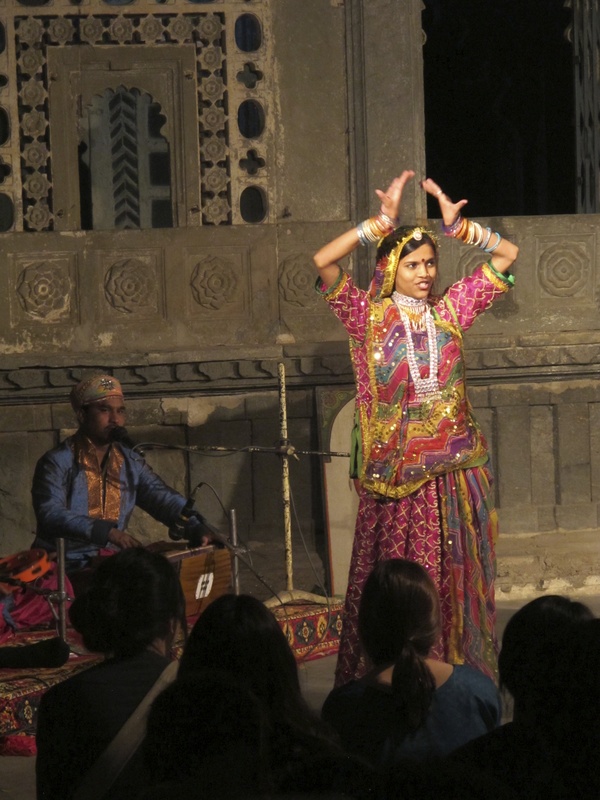 Indian culture is complex and certainly not uniformly practiced. There is a lot to know, but I’ve been received with plenty of patience. And I’m learning that while many Indian modes are different, the underlying meanings of actions are usually the same. It’s a steep learning curve, but I’m climbing it. The example that best illustrates this realization came two nights ago. I had just gotten back from a day of classroom orientation (instructions abound) and a tour of Sajjangarh (an abandoned hilltop palace where you can look out over all of Udaipur). I dropped my bags off in my room and changed into comfy clothes then went into the main house to say hello to my host family. My host father was sitting in the master bedroom watching TV. He looked up when I entered the house. “Hello, Katie,” he said (in reality, it sounds more like “kehti”). I greeted him, and remembered back to my orientation session about household manners- never go into your hosts’ bedrooms uninvited. I lingered outside the door as we chatted about our days. Golu joined in the conversation and sat next to his dad on the bed. I waited outside until Ajay invited me to come in and sit on the side of the bed. “Do you mind if we have dinner here tonight?” Ajay asked. “Our favorite TV show is on tonight and we usually like to watch it in here,” Golu added. So the four of us sat on Ajay and Deepti’s bed eating dinner and watching the Hindi version of “Who Wants to Be a Millionaire.” I went from thinking I wasn’t allowed to step foot in my hosts’ bedroom to eating dinner and watching TV on their bed with them. It sounds totally bizarre, but it didn’t feel that way at all. It’s just part of their weekly routine, and I’m so glad they’ve included me. Yesterday, I broke another cardinal rule of travelling in developing countries (actually probably anywhere, even Minnesota if my parents had anything to say about it): never, ever get on the back of a motorcycle with a local man. Well, yesterday I did just that, but the circumstances called for it. Mom and Dad, please forgive me. I woke up early, ate breakfast (yogurt and bananas) and headed off to school. I had plenty of time and thought I knew my way (notice I used the word thought? You see where this is going). Everything was going well. I recognized the storefronts I was passing and made it to Fateh Pura circle, which I knew meant that I was close to school. I kept walking straight for a while before realizing that I really didn’t know where I was. I knew I needed to turn right at some point, but couldn’t remember where. I picked up the phone and called Ajay. I struggled to effectively communicate where I was since all the signs were in Hindi, and it’s kind of hard to distinguish one busy road from another. Finally, Ajay told me to turn around, go back to Fateh Pura circle and wait for him to meet me there. I obliged. After a few minutes at the circle, I began to wonder where he was. Their house is only a three-minute ride from the circle, and I figured he’d be here by now. My phone buzzed; Ajay was calling. “Kehti, I am here. Where are you?” I told him I was here too and asked him what signs he saw to get an idea of his location around the circle. Suddenly, he said, “I see you” and hung up the phone. I was happy he saw me, but I still hadn’t found him so I continued looking around trying to local his small white car (by the way, I’ve surmised that 75% of people in Udaipur who drive a car drive a small white one, so this task was especially difficult). I was scanning the crowd when I saw a man waving at me from a motorcycle. It was Ajay. I ran over to him. “Hello! I’m so sorry. I expected to see you in your car.” “Don’t worry. Hop on.” Talk about pressure. I’d never been on a motorcycle before, have no idea how you get on one, and oh by the way, was figuring this all out while cars, rickshaws and people buzzed by. I swung my leg over and hoped for the best. Fortunately, it was just a two-minute ride on a relatively calm street before we got to school. I apologized and thanked him again and then headed inside to tell my friends about the adventure. 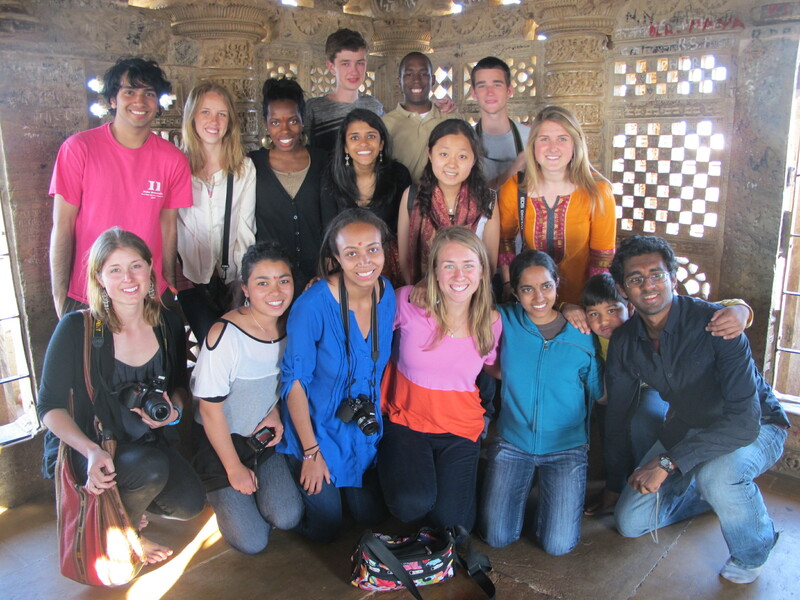 All of us gathered at the school before heading out to visit the Kumbalgarh Fort and Ranakpur Temple. 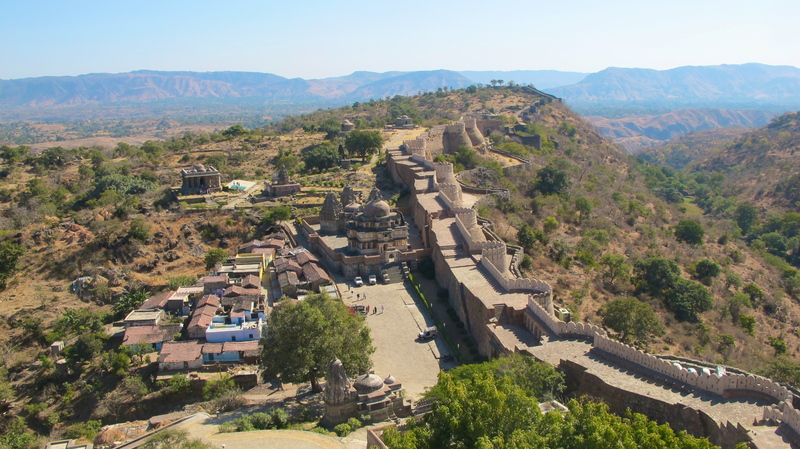 We piled in taxis and drove for two hours until we reached Kumbalgarh. 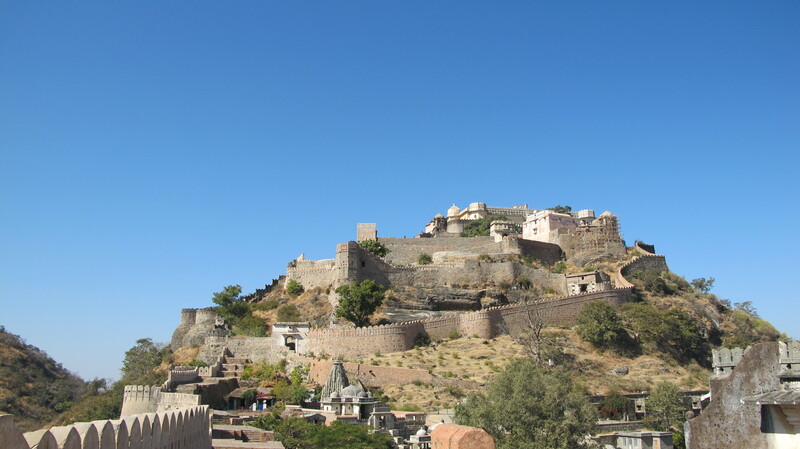 Kumbalgarh was built in the fifteenth century for the king, Rana Kumbha. It was only besieged once, and the fort is surrounded by the second longest wall in the world (36 km). 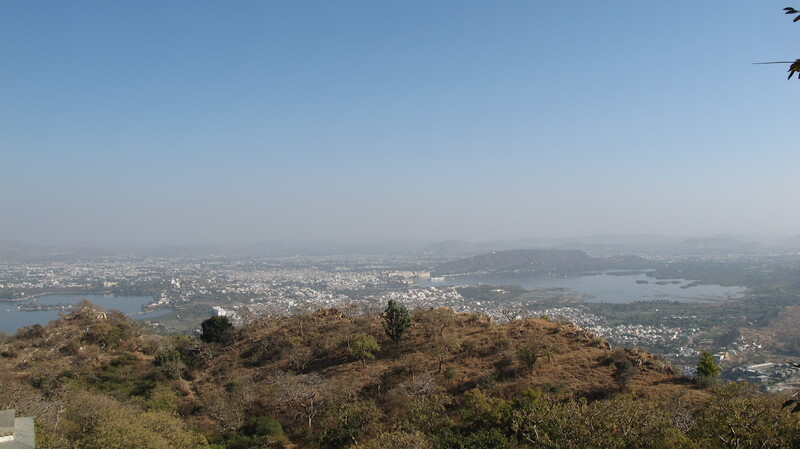 We climbed up to the top of the fort and were able to look out over the Aravalli countryside. From the top, we could see many villages and temples. After exploring there, we drove to lunch at a nearby hotel and then proceeded on to Ranakpur. 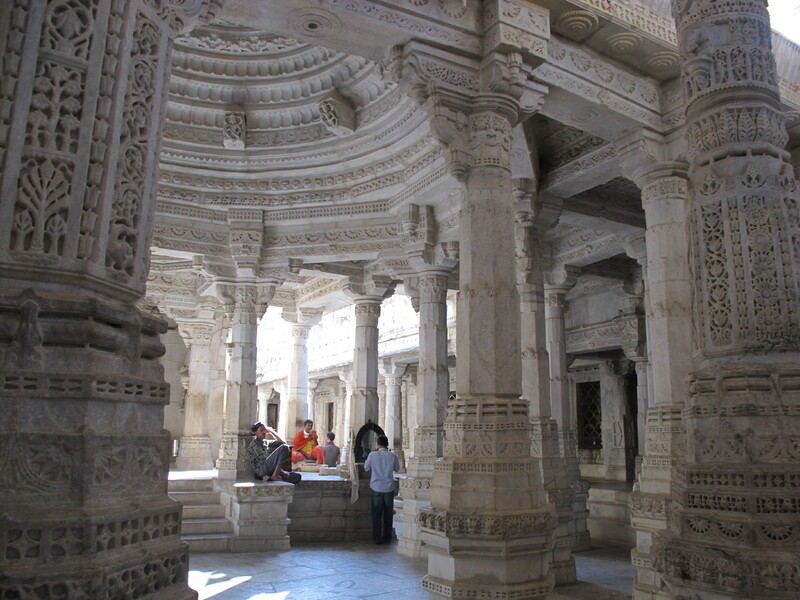 Ranakpur is a Jain temple that was built in 1439. The construction of the temple was based on the number 72 because that was the age of Mahavira, the founder of Jainism, when he achieved nirvana. 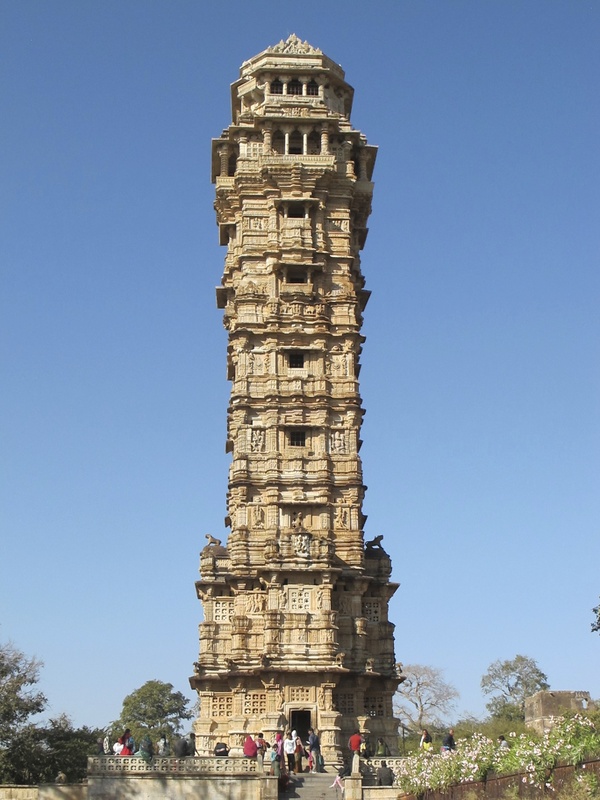 The foundation of the temple is 72 square meters and is held up by 1440 (a multiple of 72) intricately carved pillars. Inside the temple, there are 72 shrines. After walking around for a while, a man in a yellow robe, who turned out to be the head priest of the temple, approached us and asked if we wanted a tour. He told us the history of the temple then sat down and chanted a prayer for us. It was pretty incredible. 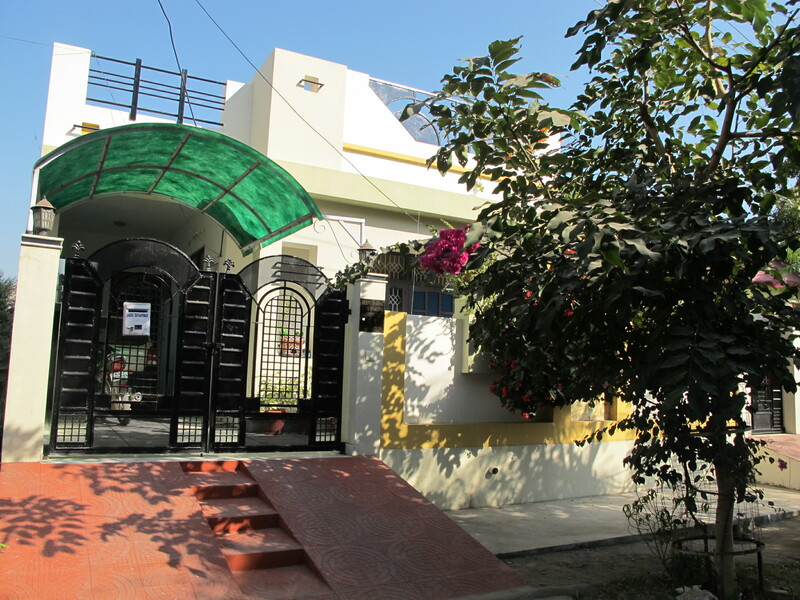 Before heading back to Udaipur, we stopped at another hotel for tea. Tea’s big here in India (shocking), and most people have it three times a day. It’s never just black tea, though. Everyone puts milk and sugar in and sometimes some ginger. It’s what Americans call chai tea. After teatime, we loaded back in the cars and drove home. We began dinner earlier than usual last night and I noticed that my host family was eating relatively quickly. Part way through the meal, Deepti walked into their bedroom to turn on the TV. Who Wants to Be a Millionaire was on again. We all ate the rest of our meal, put our plates away, and then sat in the bedroom watching for a repeat of the night before. There are many things to learn in and about India. And while it can seem overwhelming at times, the longer I stay here, the more I am realizing that the rules I was given during orientation are not as strict as they seemed. In my house, we would never eat dinner on my parents’ bed or on the floor for that matter. But that doesn’t matter. The Sharmas really love each other and love spending time together. It’s true for them here and true for my mom, dad and me at home. As I learn how to navigate Indian culture, I’m learning that what our cultures don’t share in common is not nearly as important as what we do. Maybe the learning curve isn’t so steep after all. 62 hours. That’s how long I spent without my bag. 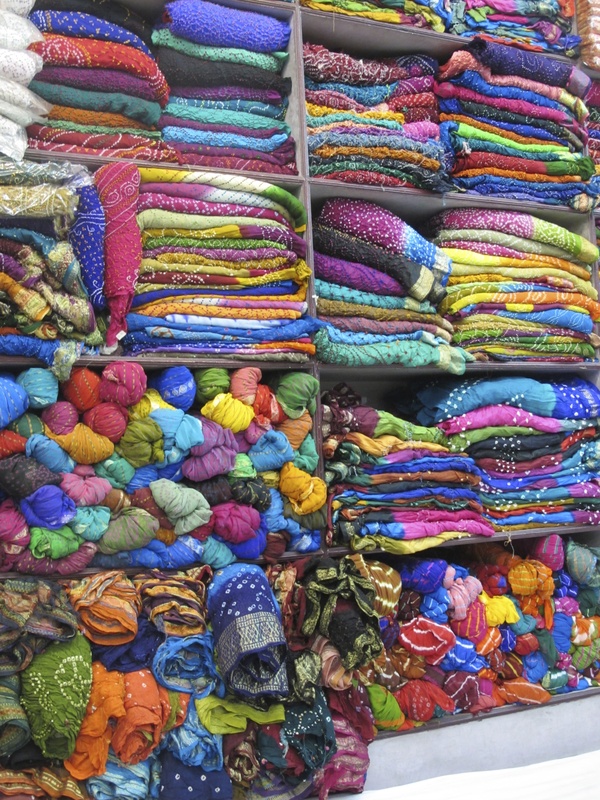 Between an 18-hour plane journey, a full day of touring in Delhi, a 12-hour night train ride, and a day of formal orientation meetings with our local hosts, I wore one pair of clothes. That is I wore the same sweatshirt, sports bra, pants, socks and shoes; I was able to change my shirt and underwear once. By the time my bag finally arrived yesterday morning, it had begun to take on human qualities in my mind. I kept wondering how it was doing, where it was, who it was with. All I wanted was to hug it and have it with me. I still have no idea how it got from Delhi to Udaipur: by 16-hour car ride, by overnight train, or by the plane rides that fly between the cities only once a day.At this point, I don’t know and don’t care. We’ve been reunited! After I got the call at 9:30 AM that my bag was waiting for me downstairs, things just kept getting better. I ran downstairs and changed into a fresh outfit before our orientation session began at 10. Yesterday’s orientation sessions revolved around the fieldwork we’ll be doing in rural villages. We met with our co-researcher, NGO field-based worker, and NGO mentors to discuss our upcoming work. Duke has set up a whole network of support systems here for us. Every student is connected to five different sources of local support. The first is our co-researcher. Meenal is the name of my co-researcher. She’s an MBA student at a university in Udaipur. She and I will live together for the two weeks that we work in the rural village, and she’ll help me with translation. She’s been incredibly nice so far and has invited to take me shopping this weekend. Next, I’ve been partnered with a field-based worker from ARTH, the NGO I’ve been partnered with. I’ve been paired with Mohini, a 40-something year-old woman from a rural village nearby where I’ll be staying during my village homestay. 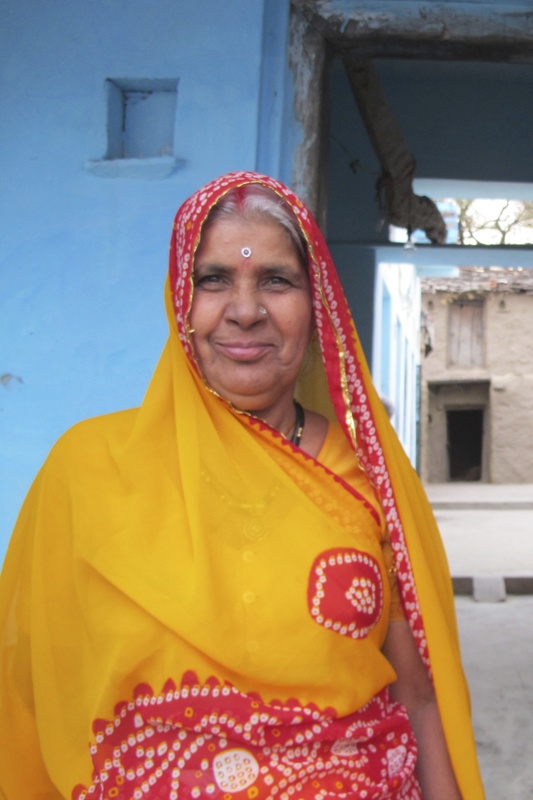 Mohini has worked with ARTH for the past 5 years, so she’ll help me coordinate interviews with appropriate village members and leaders. Thirdly, I’ll work with my NGO mentors. Dr. Kirti and Dr. Sharad founded Action Research Training for Health (ARTH) in 1997. 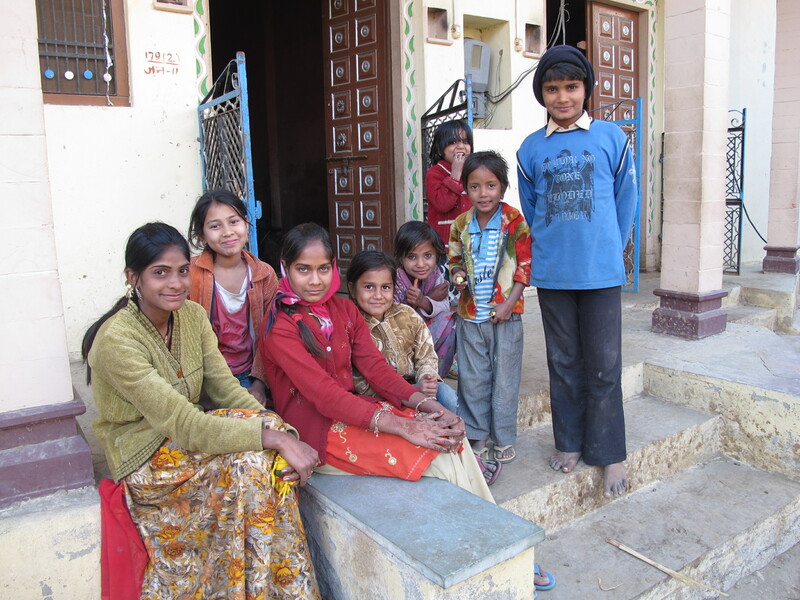 ARTH works to improve underprivileged communities’ access to health care, and they focus especially on women and children’s health in the area surrounding Udaipur where a large portion of the population comes from scheduled tribes and castes. Dr. Kirti and Dr. Sharad, a husband-wife duo, will be my mentors for my research project (eventually, I’ll just be assigned to one of them once my project takes shape). They’re also going to be my professors for one of my two classes here. They’re big shots in the NGO world here, so I’m really lucky to get to soak up their wisdom both in class and with this project. 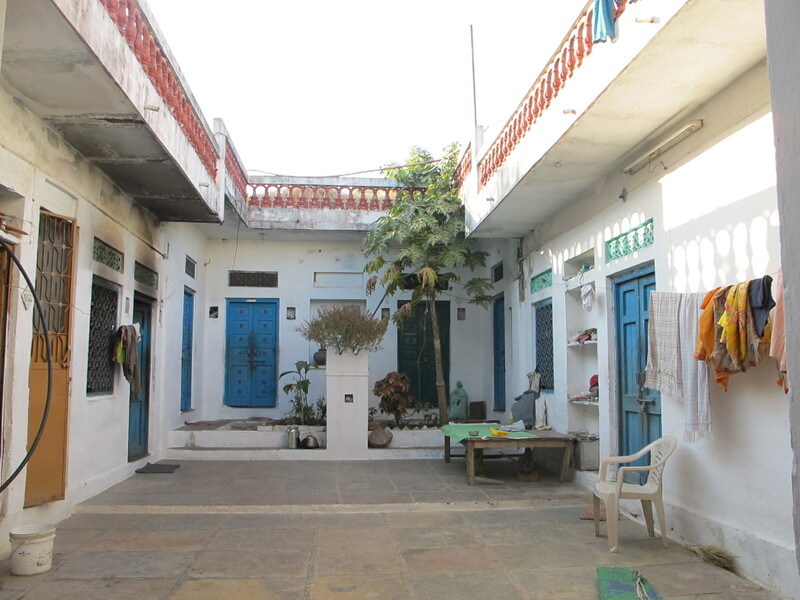 Finally, I’ll stay with two different homestay families here: one in Udaipur and one in a rural village. Yesterday, I met my Udaipur host family. My host dad, Ajay, and host brother, Matrieya (apparently everyone calls him Golu, though) picked me up at the hotel where I’d been having orientation. The three of us ate lunch together and then we went back to their house where I met my host mom, Deepti. 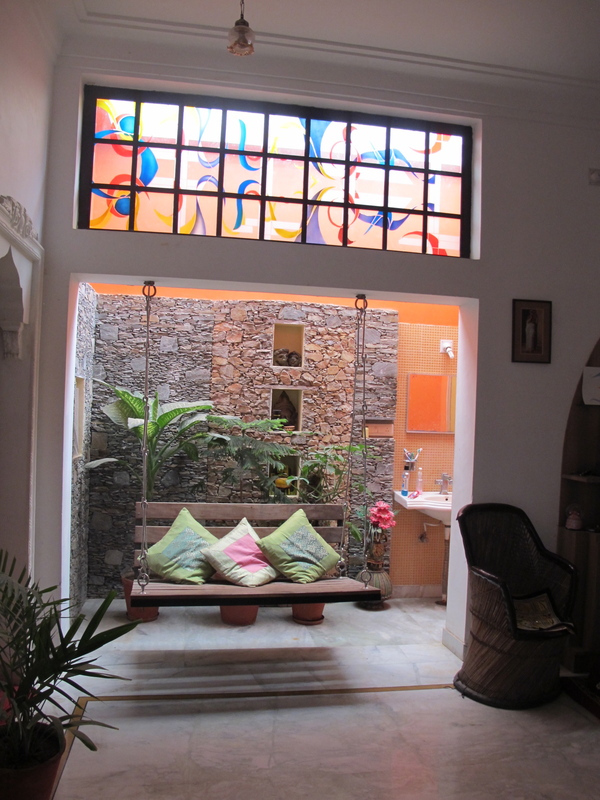 The Sharmas live in a cute house on the edge of Udaipur. I have my own room here that functions as sort of a guesthouse; it has its own door from the outside and its own bathroom. I share a wall with the house, but have to walk just a couple yards on their outdoor corridor to get into the main house. 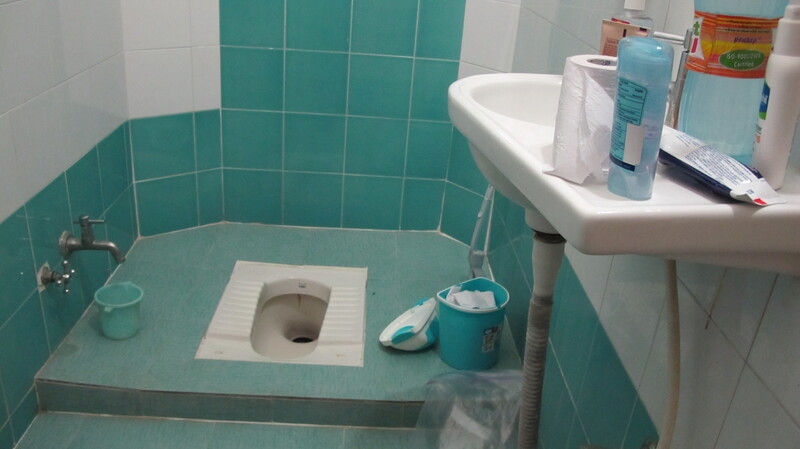 Two minor shocks, my bathroom only has a squat toilet and a bucket bath meaning I will not sit on a toilet seat or take a proper shower for the next two months. Yikes. I’ll get used to it, though, or at least that’s what I keep telling myself. What’s more important is that my host family is nice and welcoming, which they definitely are. The Sharmas have hosted over 10 “interns” (that’s what they keep calling their exchange students) over the past three years. 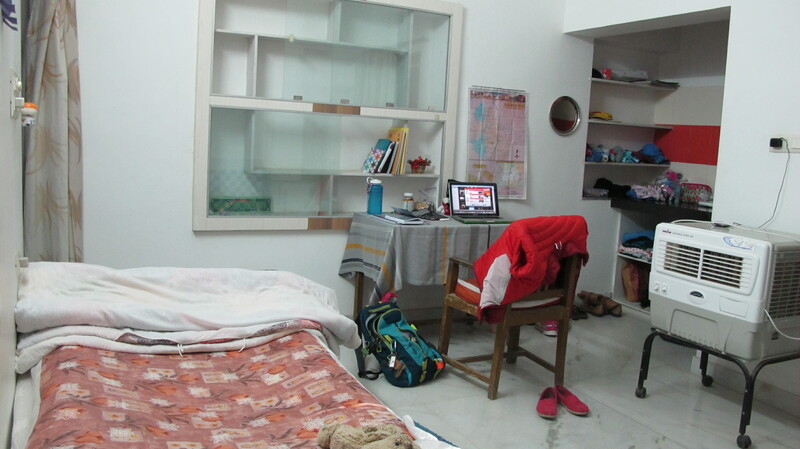 After Golu left for university in Jaipur, a town close to 200 miles away, Ajay and Deepti started taking in exchange students, so they’ll usually have a guest in this room seven months out of the year. That makes me feel really reassured. First of all, if they were terrible host parents, someone would have written something in an evaluation. Secondly, being a good host definitely takes practice. We hosted four exchange students (three for just a couple of weeks and one, Athena, for five months) during high school, and as we got more and more practice, we felt more comfortable with what to do and how to make them more at home. Ajay brought in thin metal plates and bowls and sat down next to me. Deepti gave us a cucumber and tomato salad, a bowl of dal and a pot of rice before returning to the kitchen. Ajay served me, and then he and Golu served themselves. We began to eat. Deepti kept cooking, bringing out fresh chapatti as it came off the stove. Apparently, chapatti is a bread group of which naan is a specific type. To me, chapatti is indistinguishable from naan; it’s a thick, white bread that looks kind of like a pita, but fluffier. It’s delicious. After she was done making chapatti, she sat down with us and ate. After dinner, we cleaned up and then Ajay and I talked about his daily routine. He wakes up every morning at 5:30 and goes walking at a nearby field at 6:30 (I may try to join him next week). After returning from his walk, he reads the paper and gets ready for work then takes Deepti to the bus stop at 9:30. He returns to the house to eat breakfast before leaving for work at 10:15. He comes home for lunch at 1, takes a 20-minute “siesta” (yes, he called it a siesta) and returns to work at 2:30. He’ll usually come home around 5:30 for tea. Dinner’s at 8:30. Afterward, he likes to watch TV and go to sleep. 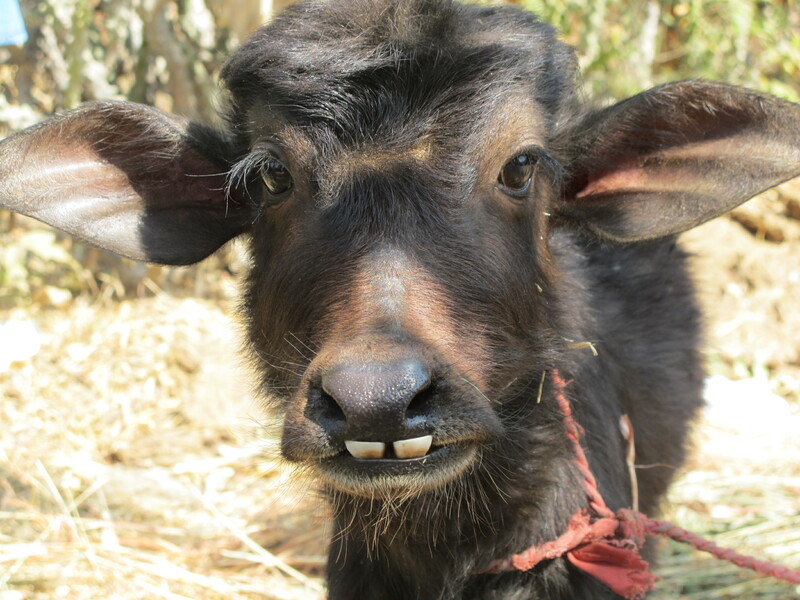 Ajay works at the Institute of Agriculture in town and holds a position in the livestock side of things. From the sounds of it, his branch advises farmers on proper livestock farming techniques and oversees agriculture matters throughout the district. Deepti is a teacher at a public school an hour away. I asked her if there wasn’t a closer school she could teach at, but it sounds like this one is better academically, and she likes it, so I didn’t push further. She leaves for work at 9:30 and returns home at 5:30. It surprised me how short both Ajay and Deepti’s workdays are, but I guess that’s just the way things are run around here. Deepti also wakes up at 5:30 every morning. She makes breakfast, packs lunch for everyone, and cleans the house. Golu is a third-year at university in Jaipur. He’s studying engineering and will return to school in a few days once his holiday break is over. The three of them have been incredibly nice so far. I feel so lucky to have been placed with them…it doesn’t hurt that they’ve invited to me to join them for two weddings while I’m here. So my bag came and I met my host family. Reunited and united- It feels so good. Enter your email address to follow the dumplings and dal blog and receive email notifications of new posts.